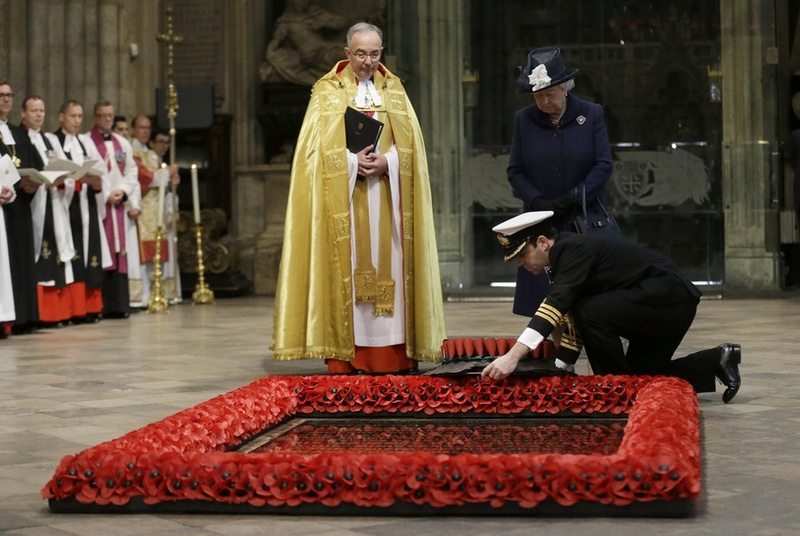 (VIDEO) HM Queen Elizabeth II and HRH The Duke of Edinburgh Attend Service at Westminster Abbey. On Sunday, May 10, 2015, Her Majesty Queen Elizabeth II and His Royal Highness The Duke of Edinburgh accompanied by Their Royal Highnesses The Prince of Wales and The Duchess of Cornwall, His Royal Highness The Duke of York attended a service of thanksgiving at Westminster Abbey in London in commemoration of the 70th anniversary of VE Day. Click the video screen above to watch the clip on You Tube. Previous (VIDEOS) HSH Hereditary Prince Jacques and HSH Princess Gabriella of Monaco Have Been Baptized. Next (VIDEOS) HRH Prince Harry of Wales Visits New Zealand: Day 2.